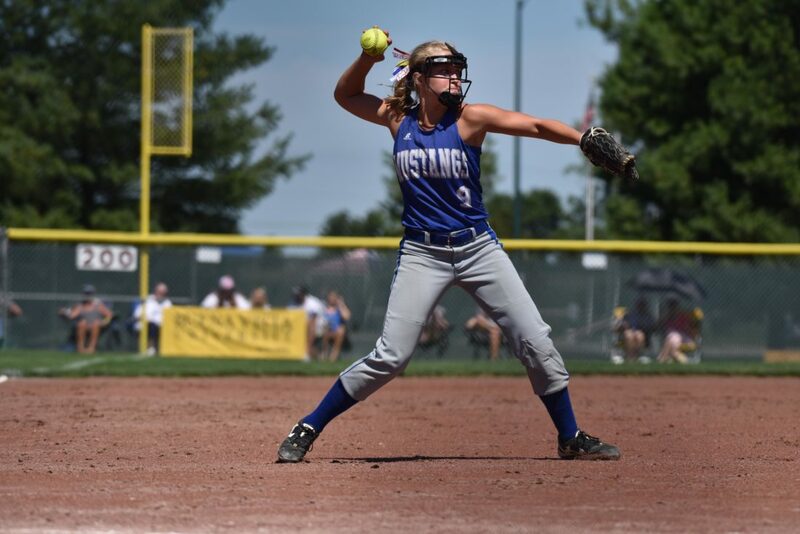 Ella Larsen, Megan Morenz and Maggie Walker all drove in two runs to help give Newell-Fonda a 14-10 victory in a Class 1A consolation game at Rogers Park Tuesday over Martensdale-St. Mary’s. Morenz, Walker and Bailey Sievers all had two hits each, with Olivia Larsen, Ella Larsen and Morenz scoring two runs each. Ella Larsen earned the win, striking out three for the Mustangs. For the Blue Devils, Brinley White drove in four runs and Hannah Sweet was 3-for-3 with three RBI and three runs scored. WP–Ella Larsen (6 IP, 9 H, 5 ER, 3 K, 3 BB); LP–Nikki Rudolf (6 IP, 9 H, 8 ER, 0 K, 8 BB). 2B–NF: Megan Morenz; M-SM: Jayda Gay, Hannah Sweet, Brinley White, Madeline Meyer. 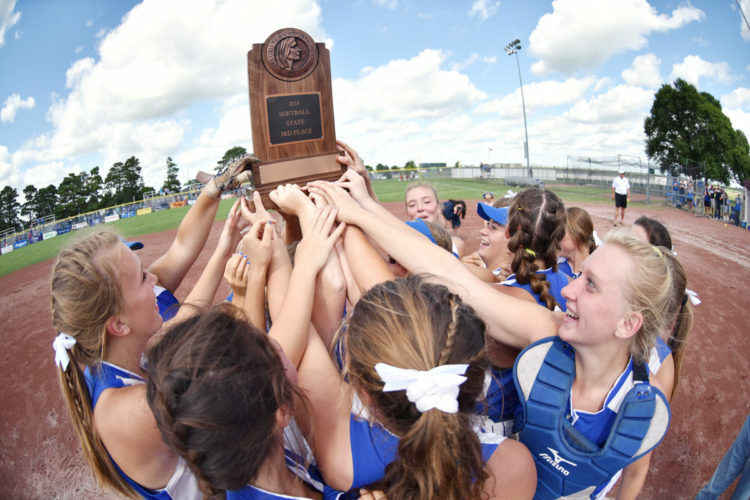 Kennedy Meister tossed a two-hitter and Grace Hovenga was 3-for-4 with two RBI to lead Janesville to a 7-0 victory in a Class 1A consolation game at Rogers Park Tuesday vs. New London. Meister struck out four and walked just two to earn the win. She also drove in a run. 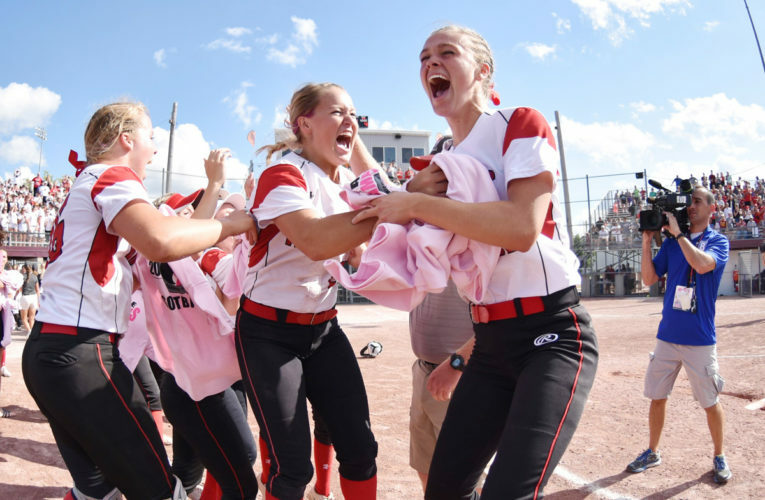 Lily Liekweg had two hits and scored twice, and Kamryn Umthum drove in two runs. For New London, Sydni Coleman and Sofie Reighard each had a hit. WP–Kennedy Meister (7 IP, 2 H, 0 ER, 4 K, 2 BB). LP–Sydni Coleman (5 IP, 8 H, 4 ER, 4 K, 1 BB). 2B–J: Kamryn Umthum, Grace Hovenga, Kennedy Meister. 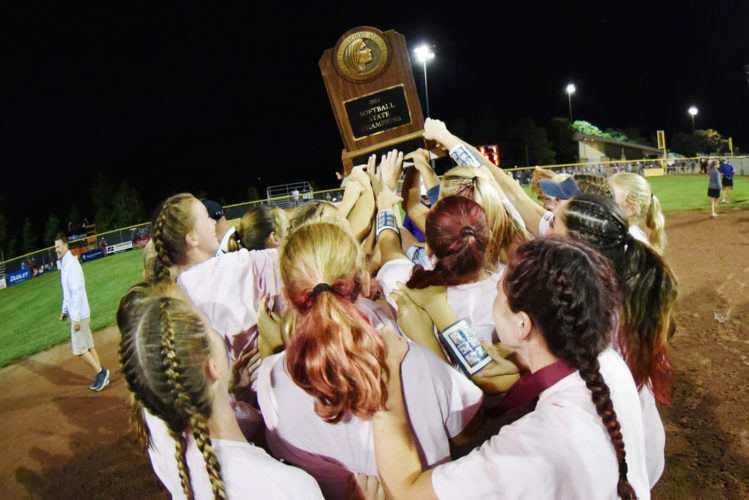 A run in the first was the difference for Logan-Magnolia, as they picked up a 4-3 victory over Wilton in a Class 2A consolation contest here Tuesday. Kylan Straight was 2-for-4 with a double, a run and an RBI, with Megan Wilson driving in another in the win. For Wilton, Chloe Lewis had two hits, with Kortney Drake and Karlie Schult each plating a run. WP–Abbie Carlson (7 IP, 6 H, 2 ER, 3 K, 3 BB); LP–Mila Johnson (4 IP, 5 H, 2 ER, 0 K, 2 BB). 2B–W: Kortney Drake; LM: Kylan Straight. RBI–W: Kortney Drake, Karlie Schult; LM: Kylan Straight, Megan Wilson. 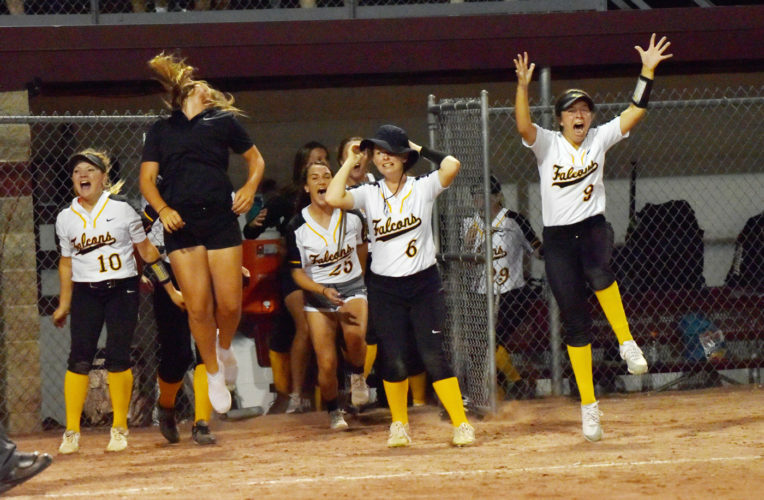 Katlynn Voss hit a home run and Alexis Bean drove in four runs as Earlham scored a 15-3 victory over Alta/Aurelia in a Class 2A consolation contest at Rogers Park Tuesday. Voss drove in three runs and scored twice, with Bean finishing 2-for-3 with two runs. Cameryn Caskey, Alli Boyle, Taylor Hipsley and Allison Beatty all scored twice, with Grace Voss driving in three. Lily Peterson and Abby Kraemer had two hits each for the Warriors. Kraemer also struck out seven more batters. WP–Kelsey Tibbs (4 IP, 7 H, 3 ER, 6 K, 0 BB); LP–Abby Kraemer (4 IP, 12 H, 15 ER, 7 K, 4 BB). HR–E: Katlynn Voss. 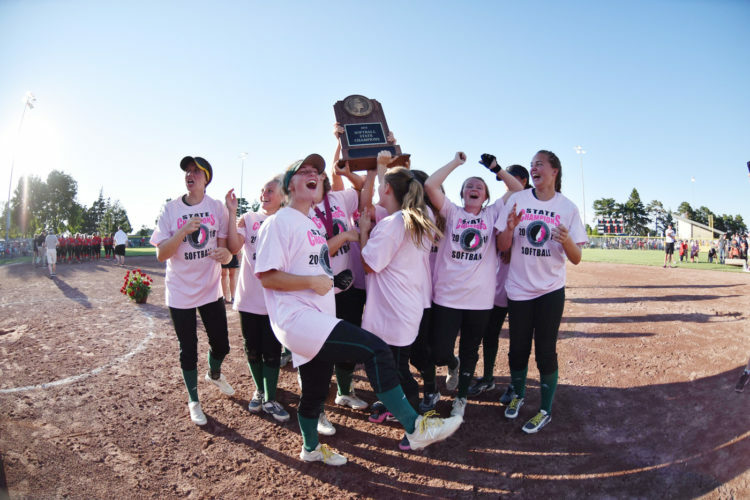 2B–E: Allison Beatty, Alexis Bean, Grace Voss, Lizzie Arnburg (2), Taylor Hipsley. A six-run third was enough to lift Benton to an 8-1 victory over Atlantic here Tuesday in a Class 3A consolation contest. Alyse Harvey and Katelyn Buscher each drove in two runs for Benton, with Angie Gorkow and Grace Martensen recording two hits each. 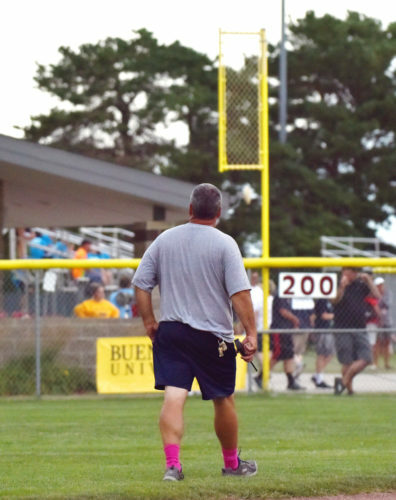 Jessie Havlik scored twice in support of Buscher, who earned the win by pitching a two-hitter. Reagan Pellett drove in the lone run for Atlantic. WP–Katelyn Buscher (7 IP, 2 H, 1 ER, 1 K, 4 BB); LP–Ally Anderson (7 IP, 8 H, 2 ER, 5 K, 1 BB). 2B–B: Katelyn Buscher. RBI–B: Angie Gorkow, Grace Martensen, Makenna Bonewitz, Alyse Harvey (2), Katelyn Buscher (2); A: Reagan Pellett.